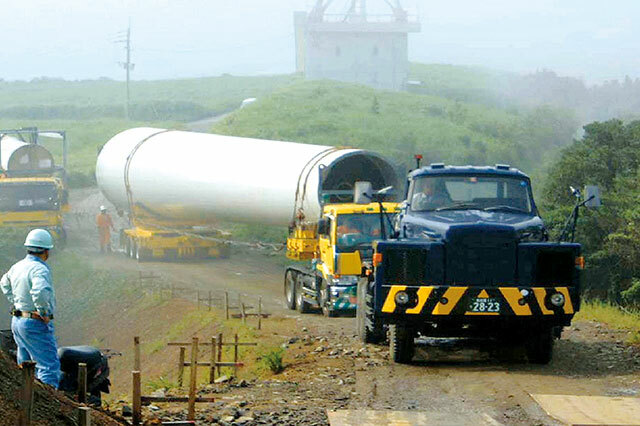 Heavy Cargo Transportation Services｜Services｜Kamigumi Co., Ltd.
Kamigumi has accumulated a broad range of large industrial equipment transportation know-how, and handles a variety of heavy cargo items such as transformer plants, industrial equipment, petrochemical plant equipment and railcars. 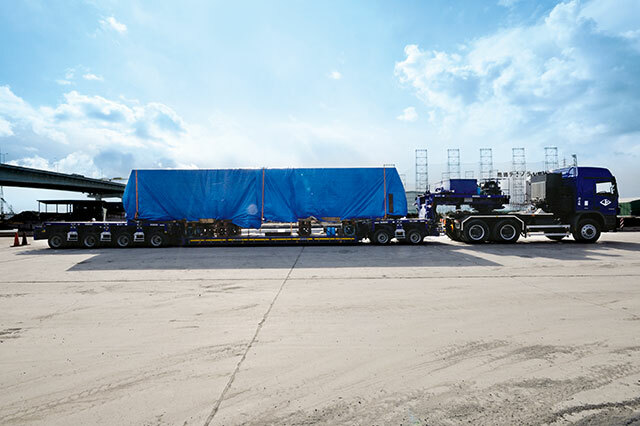 We offer all the types of equipment needed to transport, especially heavy and large cargo. 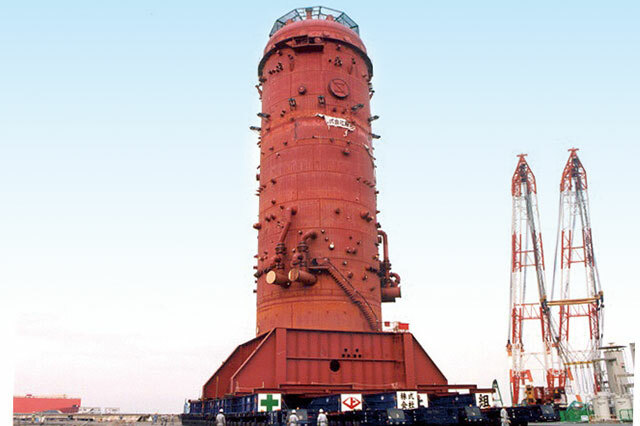 This includes the world's largest unit carrier capable of handling the transport of very heavy cargo and overhead power-lifting equipment rated at 800 tons that can be used in tight spaces or inside rooms where cranes cannot go. 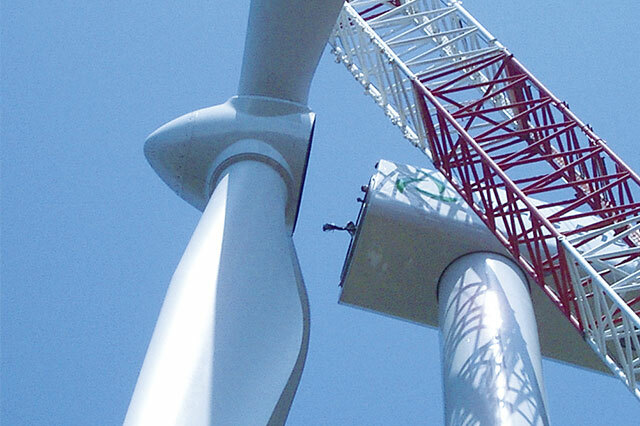 Consequently, we can handle all processes from unloading from factories to onsite installation. 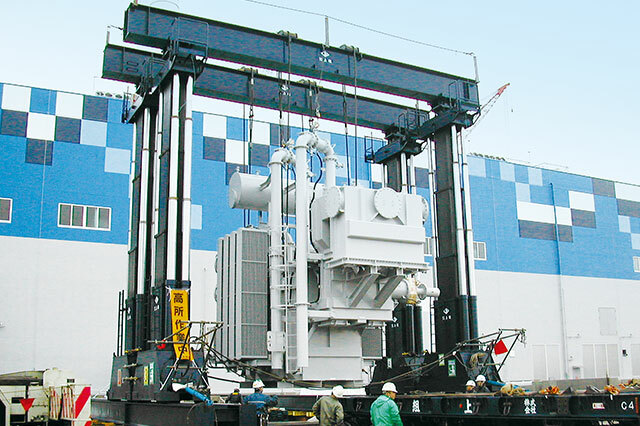 Kamigumi transported thermal power plant modules and handled an entire order, from transport through installation, of boiler module unloaders (boiler module weight: 3,820 tons; diameter: 16 meters; height: 52 meters). 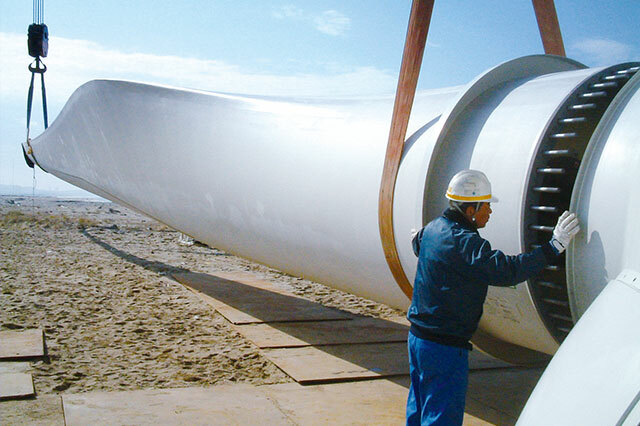 Kamigumi handled an entire order of wind turbines, from transport through installation, including the unloading of wind turbine parts from ships and loading them onto vehicles for transport (capacity: 2 MW; blade diameter: approximately 80 meters; height: approximately 80 meters). 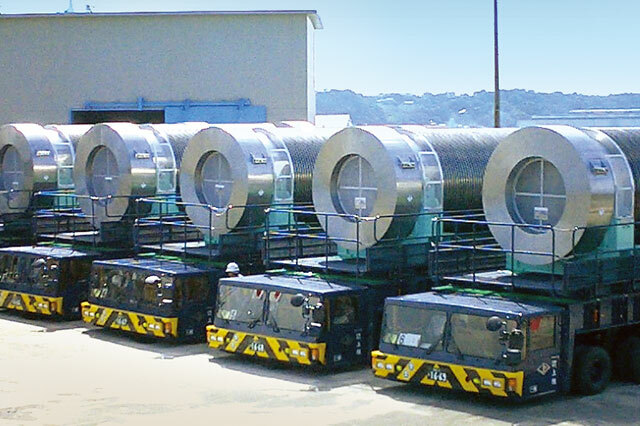 Kamigumi handled an entire order, from consignment and transport from manufacturers in Japan and overseas through delivery and installation in Japan, including unloading of plant machinery from ships and operating heavy transport machinery. We handle the transport of nuclear power plant fuel and spent fuel, which requires the highest level of security and transport quality.